It was a beautiful, but albeit, hazy day when we left Cheticamp for the North Sydney area. As we moved inland from Cheticamp, the temperature started rising until it reached a high of 91 degrees, the hottest day since we left New York. After many nights where we turned on the heat to take the chill out of the air, we may wind up using the air conditioner to take the humidity out of the air. 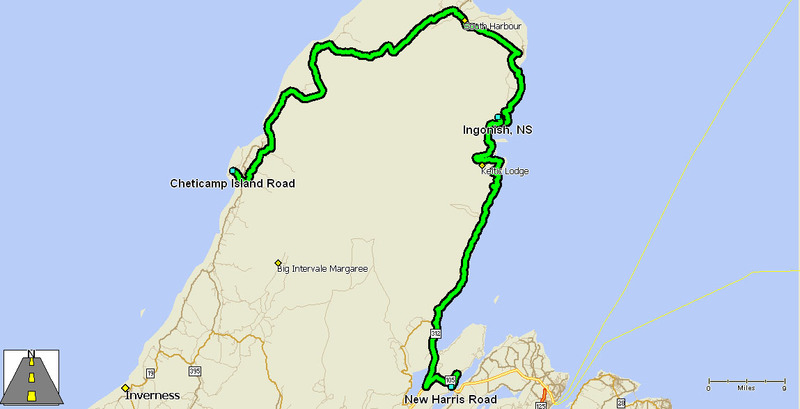 Having decided not to take the northern loop of the Cabot Trail to the Sydney area, we headed on a short run, a little over 70 miles, over the southern loop. We figured it had to be easier than the hills and curves of the northern section. Parts of the road were not in the best condition, but we didn’t think about it because we had done worse in Yukon, British Columbia and Alaska. We were in for a surprise when we got in the trailer and opened the pantry… one of the shelves collapsed and took down another shelf when it dropped. Susie got a bigger surprise when she opened up the cabinet where we store the dishes and was greeted by an avalanche of plates. Neither the dishes nor Susie were broken in the process. She was reluctant to open the cabinet where we keep our glasses, so I did it. Surprisingly, all but one of the glasses were in their original position. We had a shelf collapse before in the pantry, because it was overloaded but this is the first we had the dishes fly out of the dish rack. The Campground is on the western side of the Seal Island Bridge. 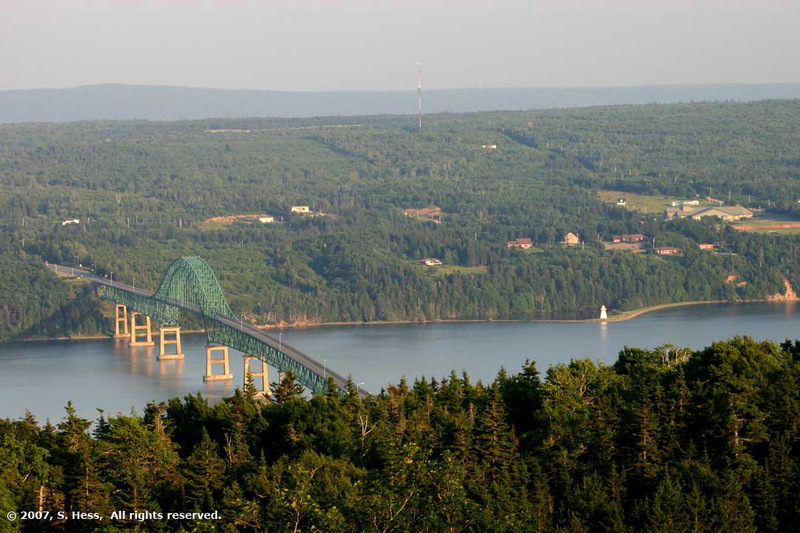 The bridge spans an arm of the Bras d’Or Lake. 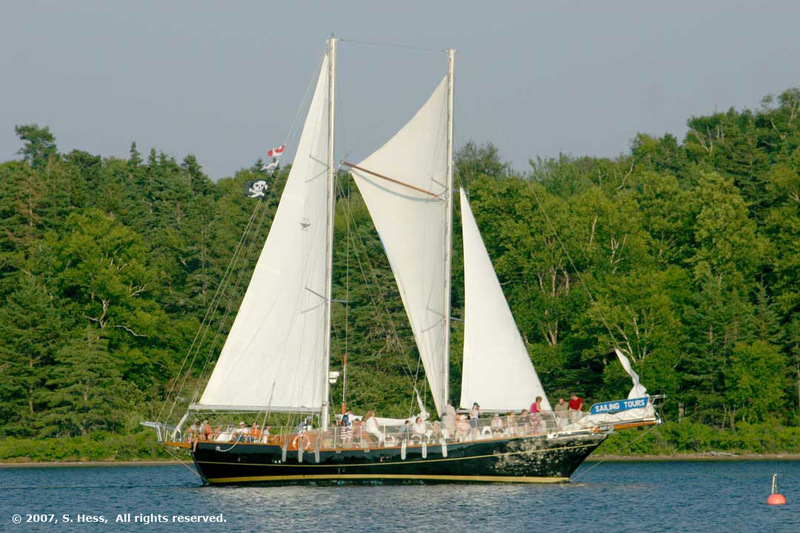 We are about half way between Baddeck and Sydney. The campground overlooks the lake and the bridge. It is one of the nicest spots we have camped in on this trip. 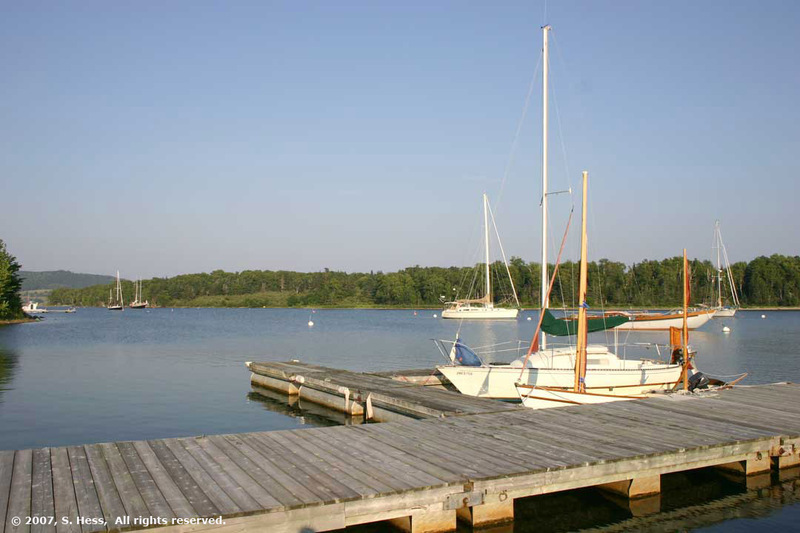 We decided to take a run back to Baddeck, about 25 miles from the campground. 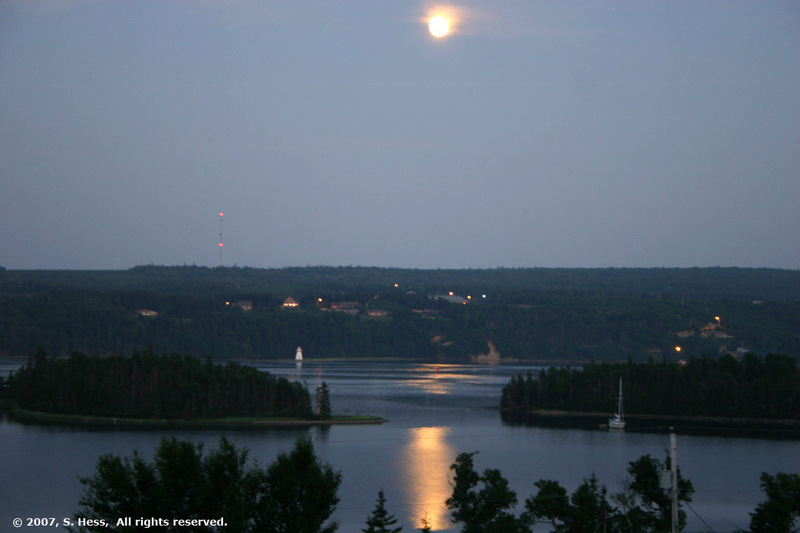 Alexander Graham Bell built a home on a hill across Baddeck Bay from the town. Here had a laboratory and worked on various projects. Bell is well known for his invention of the telephone, but few are aware of his interests in the education of the deaf, aviation and hydrofoil boats. It was here that he and a group other aviation pioneers worked on improving the airplane. He also built a number of hydrofoil boats, one of which held the speed record for boats in the early 1900s. Parks Canada operates the Alexander Graham Bell National Historic Site in Baddeck and it has exhibits detailing Bell’s life and inventions… fascinating stuff. Prior to going to Baddeck, we went to the public school across the bridge from the campground and used their public Internet site to get the last three days’ pages loaded to the Web site. They are not open over the weekend so we may not have access again until Monday. 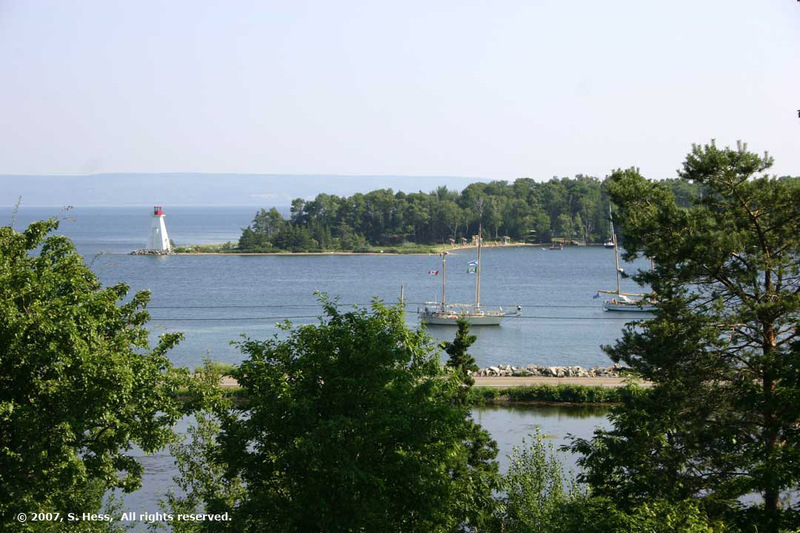 Baddeck Bay viewed from the Alexander Graham Bell National Historical site. Our campground is located below the hill in the foreground.